Gemalto says businesses are investing heavily in extra security solutions, but still feel they could be breached. Businesses aren’t investing enough to protect their businesses from data breaches. What’s more, even the funds they are investing are going down the wrong path. New research from digital security firm Gemalto found that, despite the increasing number of data breaches and nearly 1.4 billion data records being lost or stolen in 2016, the vast majority of IT Professionals still believe perimeter security is effective at keeping unauthorised users out of their networks. Almost all (94 per cent) of the companies surveyed said that they see perimeter security as effective, while 65 per cent aren’t extremely confident (down from 69 per cent last year). Still, only 59 per cent think their sensitive data is secure. The research says 76 per cent increased their spending on perimeter security, yet 68 per cent think a hacker could access their network. 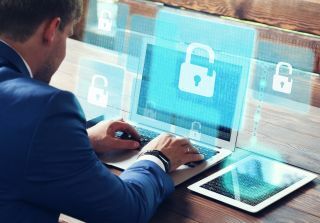 “It is clear that there is a divide between organisations’ perceptions of the effectiveness of perimeter security and the reality,” said Jason Hart, vice president and chief technology officer for data protection at Gemalto. The full report, entitled Data Security Confidence Index, can be found on this link.